Nut appears to be synthetic tortoise shell – very cool! Tone Bone Score: 5.0 ~ Wow! What a tone machine! The Ctrl-X pickup has tons of gain on tap, and will give you plenty of crunch when you need it! 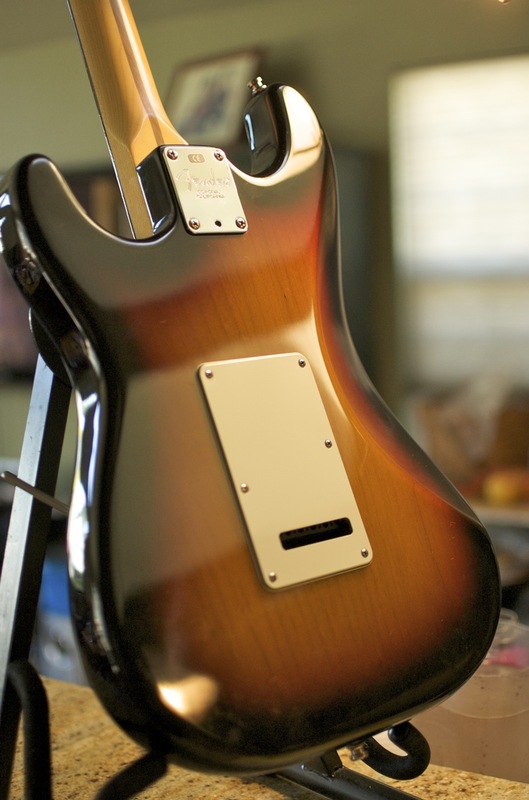 The Kinman Noiseless pickups really smooth out the tone, and flatten the significant midrange that tends to be in stock Fender pickups. For me, I had all but lost hope with Strats. I just couldn’t find one that really appealed to me. But with the changes in this particular Strat, I’ve regained my faith. This is an absolutely killer guitar! 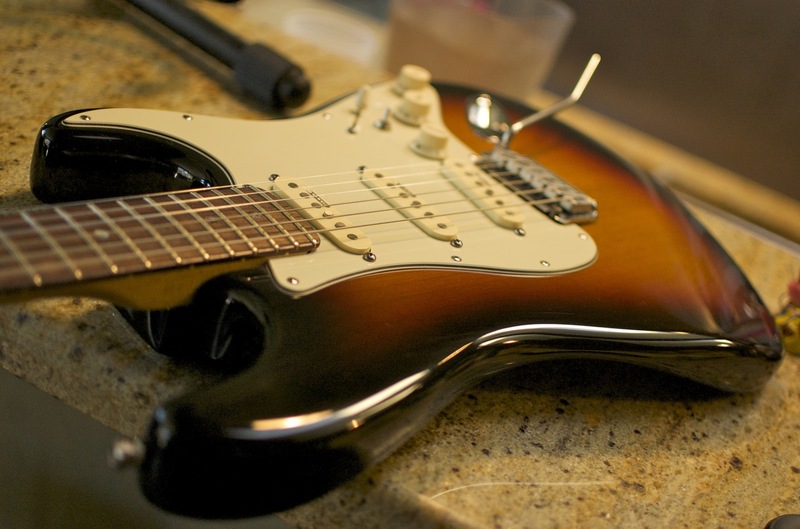 Unlike a lot of Strats that have really narrow nut width, this Strat’s 9.5″ nut radius is perfect. The neck is a gentle C and even with my short fingers, I have no problem reaching the lower strings high up on the fretboard. 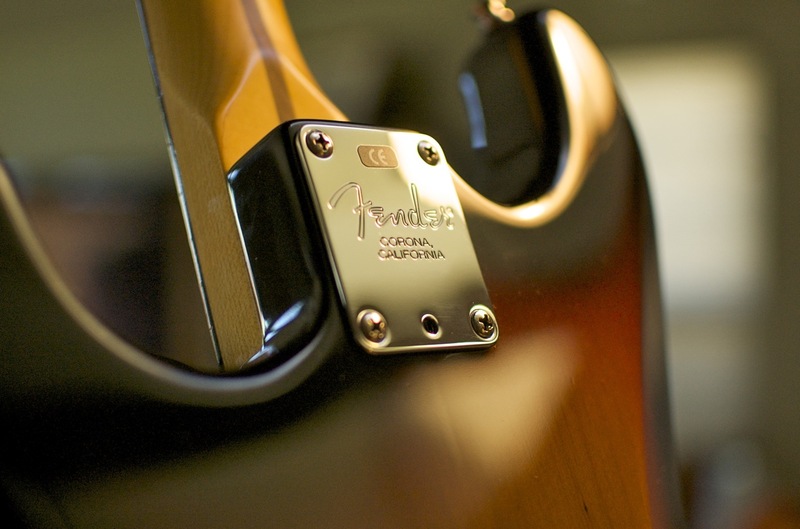 The shape of the neck is simply terrific, and provides a nice balance between solid-feel and speed. I could play this guitar for hours and never get tired. It’s really a player’s guitar. As I mentioned above, it sounds like a Strat, but it has a much smoother tone. This is due to the Kinman Noiseless Pickups that replaced the original “noiseless” ones on the stock Strat (don’t have the stock ones, but don’t want ’em). This Strat also has tones of sustain, which really surprised me. It’s not on the order of a Les Paul, but it sustains a lot more than other Strats I’ve played in the past. The Kinman pickups also add a lot of depth and complexity to the tone, picking up subtle harmonics that give the tonal presentation a real 3-D effect – it’s almost reverb-like. How cool is that? 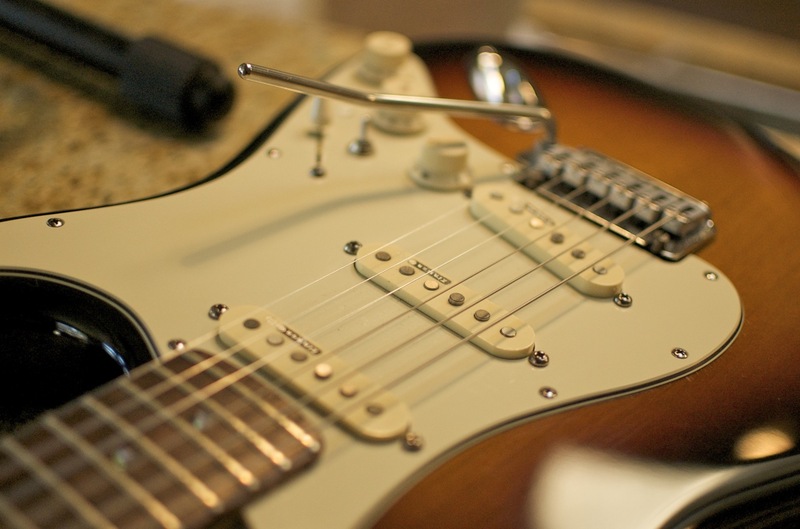 On top of that, the original owner replaced the tremolo with an L. R. Baggs Ctrl-X system. This adds yet another pickup to the bridge that has all sorts of gain; very humbucker-like, but retaining the single-coil characteristics – there’s just more of it. The Ctrl-X system is cool in that you can switch between going fully magnetic to blend with Ctrl-X or fully Ctrl-X. 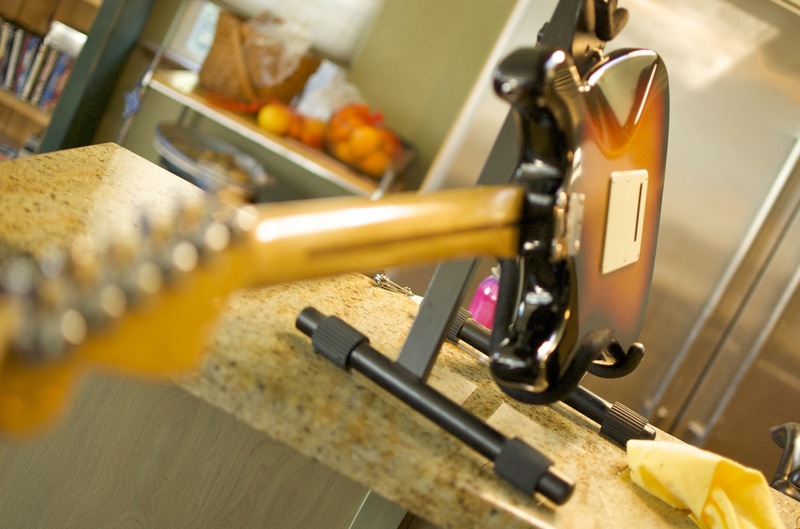 The full-on Ctrl-X is great for soloing! Both clips were recorded using my Aracom PLX18 BB Trem, a fantastic 18-Watt Plexi clone. 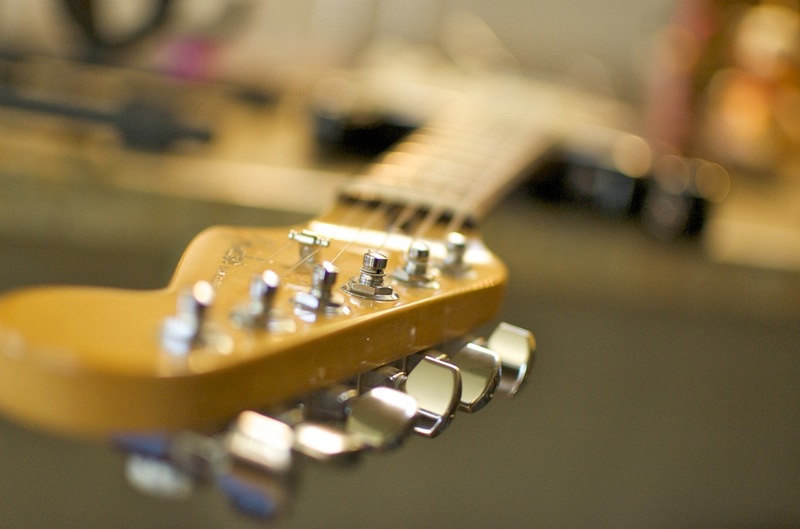 I was originally going to record with my Fender Hot Rod because the guitar sounded great through it. But my problem with Strat tone came from switching to vintage Marshall-style amps like my PLX that have lots of midrange. Strats just didn’t sound right to me with these amps. But this one blew me away! It’s difficult being a gear freak and having so many avenues to evaluate great gear. I have to have this guitar. Period. It’s completely changed my view of Strats! I started out as a Strat guy. Then when I moved over to vintage Marshall-style amps, just couldn’t stand the reedy, thin sound of my Strat with my amps. It sounded fine clean, but the overdrive sound was horrid. Well I finally came across a Strat that has much more balls than my old one. 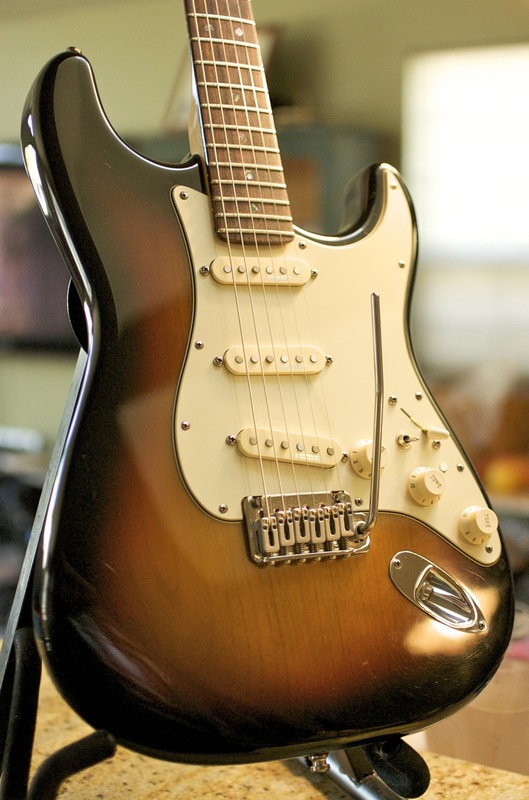 It’s an American Strat that has been hot-rodded with noiseless Kinman pickups and an L. R. Baggs Ctrl-X upgrade, which places a pickup in the tremolo bridge called the X-Bridge pickup. This includes a three position switch that functions similarly to a Les Paul switch: Fully up is magnetics only, middle is a mix of X-Bridge and magnetics, then all the way down is X-Bridge only, which is produces a fat, gainy tone. I think that’s the problem that I had with my Strat and other Strats I’ve played. They don’t have enough gain to really push my vintage Marshall-style amps. But with the X-Bridge, I can get enough gain to push my amps to their sweet spots. I should say that that’s only for my non-master volume amps. It works great with my Fender Hot Rod; in fact, I was playing around yesterday and getting gorgeous overdriven tones with that amp using this guitar. I’ll tell you what: The X-Bridge seals the deal for me. Next, here’s a short song applying both magnetics and X-Bridge. The rhythm part is played with just the magnetic pickups, and the lead is played with the X-Bridge. I have the amp set with the volume at 6 on Channel 2 of my Aracom 18-Watt Plexi combo and the tone at 3pm (optimum for a Plexi). 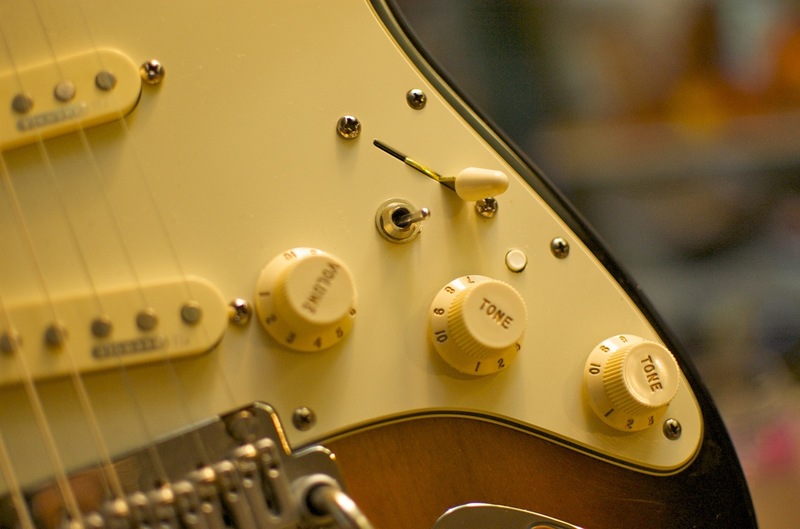 Where I had the amp set, it was just at the edge of breakup for the Strat in magnetics only mode. Then when I engaged the X-Bridge, I got a nice gain boost that pushed the amp over the edge. That gives me a nice, light overdrive that adds just a tiny bit of compression and sustain. This is really profound for me because I had all but given up hope on Strats, even though I love their tone. My old Strat just doesn’t have the balls that this one has. 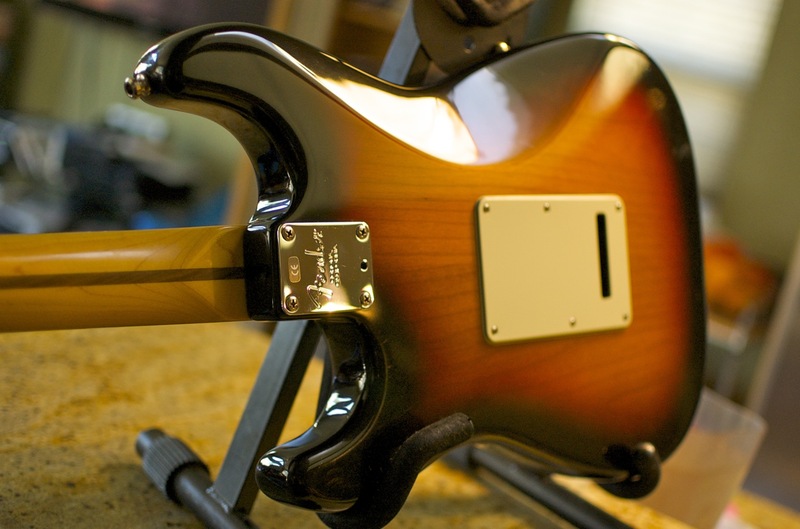 It’s just way too thin and bright; which reminds me that the Kinman pickups are absolutely fantastic! 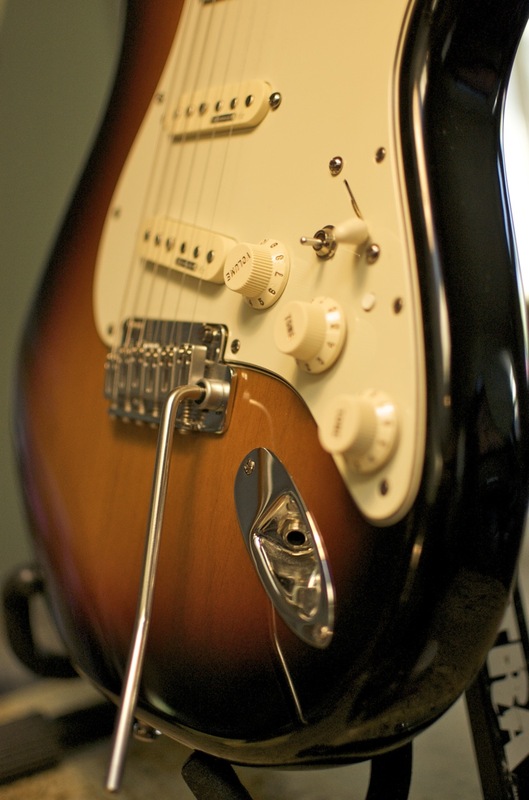 They have a bit deeper tone than a vintage Strat pickups – I have the ’57 Tex Mex in my MIM Strat – and THEY ARE NOISELESS! No more 60Hz hum! 🙂 Frankly, I didn’t know too much about these pickups, but they’re apparently very popular replacements among Strat and Tele players. They’re not cheap at $300 for a set, but they’re well worth the money. Awhile back, I mentioned that one of the next pedals I was going to get besides my Timmy was an envelope filter. I was really digging the Electro-Harmonix pedals, but then got contacted by Jeff at Source Audio who was saying that they were working on a new guitar envelope filter, following the bass envelope filter they recently released. If you’re not familiar with Source Audio, they build the SoundBlox line of pedals. What makes these pedals different is that they can be manipulated on the fly with a motion sensor ring called the HotHand Motion Controller ring. I’ve always been intrigued by these pedals, but haven’t had the chance to try any out. Until now. 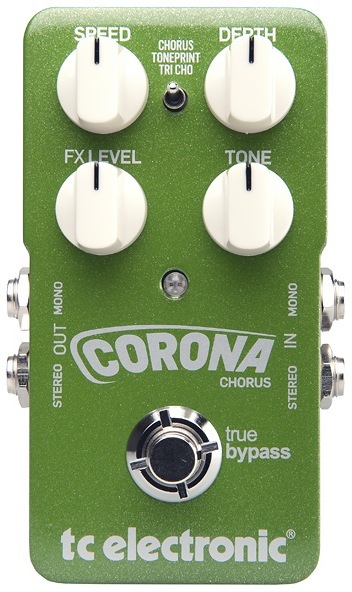 I hopefully will be getting a couple of their pedals for review soon, and I have to tell you, I’m excited! The envelope filter has a TON of cool sounds, so you can get all sorts of vowel tones out of it. With the motion controller ring, you can even get variable wah sounds! THIS IS COOL STUFF! All I can say is… interesting. 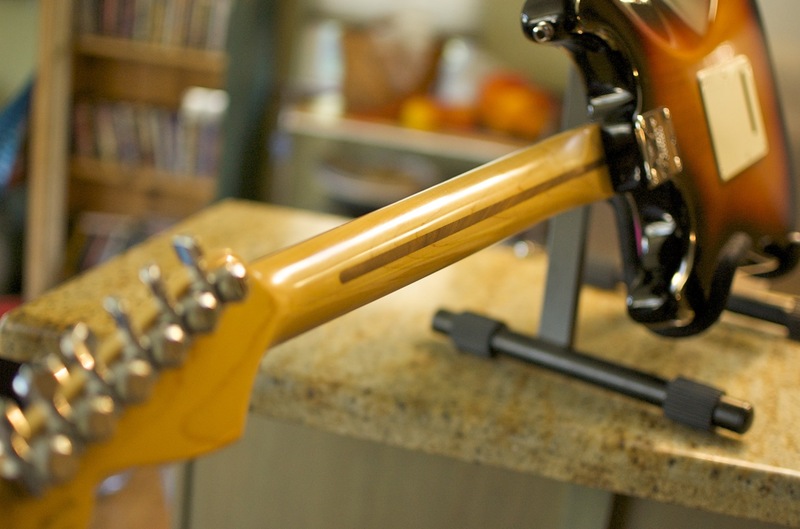 As said in the video, the power wire has a tiny amplifier built into the jack that connects to your guitar powered by two long-life batteries. Not sure how I feel about it, which is why my reaction was a lot more mild. It’s certainly cool, adding more gain to your input signal. According to the R&M Tone Technology web site, the cable comes in 0-6dB gain options. I guess the thinking is that more gain gives you more dynamics, but it also changes the overdrive point of whatever drive pedals you’re using, or if you’re going straight into the amp, where your amp breaks up. I would actually see this as a benefit for single-coil, or low-output humbucker-equipped guitars, where that extra gain will get you overdrive earlier on. Not sure how I’d like it with hotter pickups such as the ones that are in my Gibson Nighthawk Reissue. But at $39.00 for a 20 footer and $43 and $47 for 30- and 40- foot cables, it might be worth it to try out. For more information, visit the R&M Tone Technology site. Still waiting on my Timmy pedal. Hopefully that will be coming soon. I actually need a new vocalizer as my DigiTech Vocalist Live 4 is on its last legs. Luckily I don’t have the money right now, and since I have to pay taxes this year, I’ll have to get these piecemeal. So what’re you GASing for? 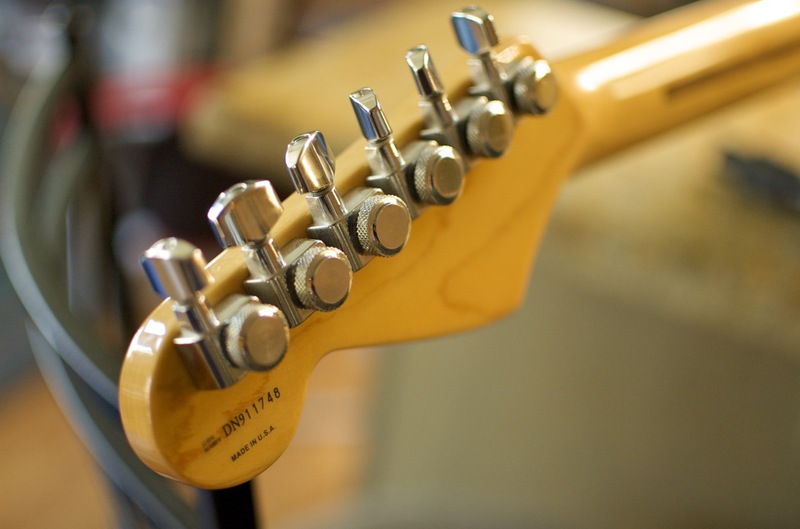 A few years ago, I wrote a post entitled, “Fighting with my guitars.” This was inspired by a post from a now-defunct blog called, IG Blog, where Ig talked about different guitarists “fighting” with various quirks in their guitars and overcoming them to be more expressive. In my most recent post, the discussion turned to this very subject; fighting through quirks in gear. 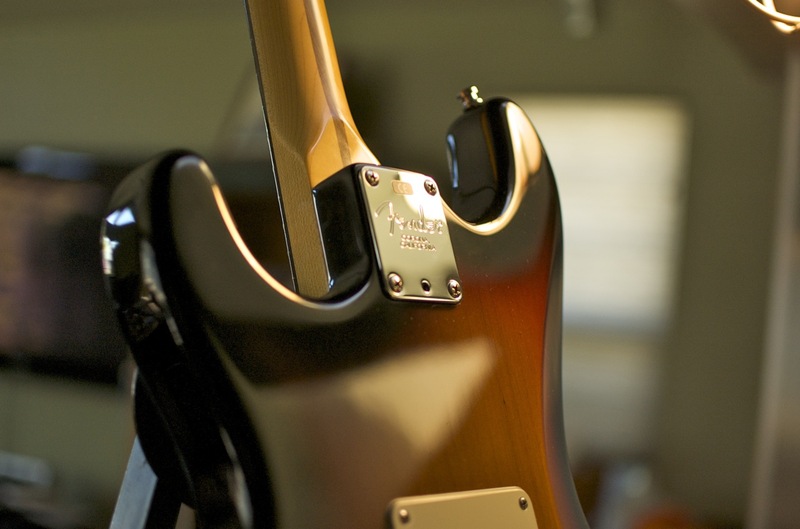 When I re-read my original post from a few years ago, I chuckled because the way I fight with my guitars is that I actually sort of pick a fight with them. Oh, not by banging them up, but simply by not changing my strings until one breaks. In fact, if a string breaks, I just change that string, and leave the others on. Part of why I started doing this years and years ago was economics. I just couldn’t afford to do wholesale string changes very often. 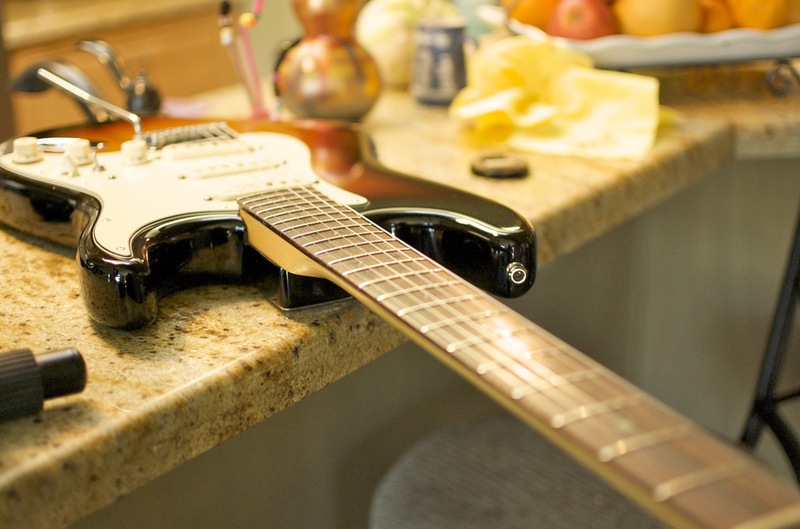 But now, I prefer well-broken-in strings over new strings because to me they sound smoother (I actually don’t like the brightness of new strings), and more importantly, they make me work harder to get a good tone. Granted, I will do a wholesale change anyway every six months or so to clean up the fretboard and remove pick dust that I can’t get to easily. But my strings for the most part just stay on until they break. I know, sounds a bit quirky, and it probably is, but it forces me to work hard, and in turn, I feel much more expressive because of the tension that creates.